Sydney is such a unique city in so many ways and with the magnificent Sydney Harbour being the local playground for residents and visitors all year around it is no wonder that boat hire plays such a big role. We have a water culture like no where else in the world in Sydney, and boat hire is the go-to option for events of all kinds. The fact that our city and suburbs are built around the harbour makes boat hire the first choice for people when organising an event. 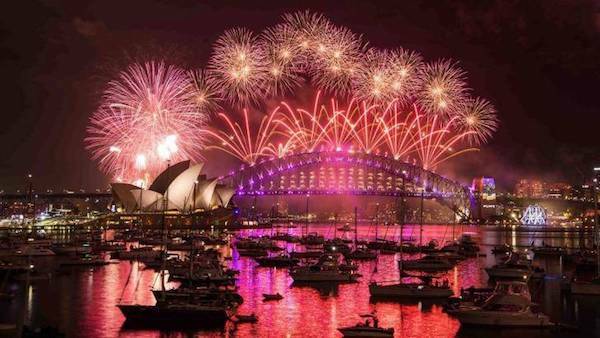 You wont find anywhere else in the world that has as many celebrations on their local waterways as we do here in Sydney. Boat hire is something that almost everyone in Sydney has done at some point and will naturally do again. And can you blame them? The boat hire options we have available below allow you to make the most of the harbour whether it be a social cruise in the middle of summer with a group of friends or a huge event like a wedding cruise or New Years Eve cruise. There are lots of Sydney boat hire options but we specialise in fully crewed boat hire. The most common type of boat hire that we do is a 4 hour cruise where you get on at your chosen wharf, and have a 4 hour charter. Depending on the boat hire option that you go for you may have a fully catered cruise or a BYO cruise. Different boats have different options available and it is usually determined by the standard of the boat. Super yacht , luxury motor yacht, and function boat hire usually have compulsory food and drinks packages where as the cheaper boat hire options that cater to smaller groups are usually fine with BYO or can arrange catering and drinks. Have a look at the boat hire options below and click on the enquire now button to contact our staff and arrange to see the boats or make a booking. Sydney Harbour is the boat hire capital of Australia and with so many luxury boats on offer, and so much water to enjoy them on it is no wonder. People from all walks of life take advantage of the boat hire opportunities we have here and they always end up with a memorable experience. 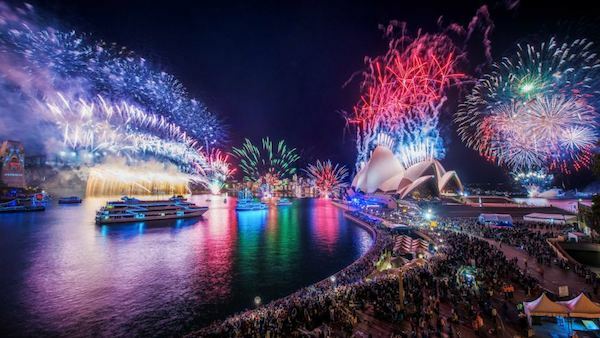 The Sydney Harbour party cruises and the yacht charter Sydney scene just keeps getting more and more exciting every year and the team at Any Boat are all about providing you with long lasting memories of a wonderful experience on the Harbour. There are a few different boat hire options at Any Boat and many boats to suit any boat hire need. The most common type of boat hire we deal with is the standard, fully crewed, 4 hour boat hire experience. It enables you to pay an hourly boat hire rate to have a boat with crew supplied allowing you to sit back and enjoy what Sydney Harbour has on offer. Boat hire in Sydney usually involves having a meal and some drinks on board and as such different boat hire options have different packages. Some of our boats are BYO boats allowing you to take your own food and drinks on board. In that case the boat hire rate is the only cost you have. Most of these boats also offer catering menus for boat hire if you would like all the food supplied. This takes the hassle out of organising the food yourself and most BYO boat hire options have competitively priced, customised boat hire menus. Other boat hire options are on licensed boats, which usually mean you have to buy your food and drinks from the boat. There are a huge number of packages available from basic BBQ menus to 5 star menus prepared by an on board chef. Boat hire menus in the situations range from low cost menus to menus with wow factor to impress your guests. Boat hire Sydney has a few self drive boat hire options as well. The self drive boat hire options that most people take advantage of are sailing yachts. We work with a few boat hire operators that have a range of sailing boats available. Boat hire on sailing boats does require you to be able to sail and you will have to sign a statutory declaration to confirm your sailing ability. Some boat hire operators will require you to handle the boat with them on board to prove your abilities. The other self drive boat hire in Sydney are smaller fishing boats that hold 4 – 6 people. We have a few of these boat hire Sydney options that we deal with however you will need to contact us for the latest list as we don’t always have them on-line. The boats available for standard 4 hour boat hire Sydney range from small boats that hold 10 people right up to huge floating glass ballrooms that hold up to 1,000 people. Boat hire on the smaller boats is definitely more common but we can arrange boat hire for any size function. After being in this business for many years now we see the different reasons people choose boat hire on Sydney Harbour. One thing that stands out is that it is surprising how many people could be taking advantage of boat hire in such a beautiful country that don’t. Boat hire in Australia and in particular boat hire Sydney seem to be an option for people having a special event. From all the usual boat hire functions like birthdays and weddings to New Years Eve. Boat hire Sydney can be a lot more than that though. Take for example the thousands of people who go for drinks after work on a Friday night. They go to the same bars with the same faces spending hundreds of dollars on alcohol, then go home with an empty wallet and they didn’t even have much fun. What they should be looking at is boat hire. If those same people all chipped in a few dollars, bought a few bottles of champagne, spirits and a few beers, to have on boat hire with a few invited friends, and even friends of friends, they would be doing something different and fun for basically the same price as they would have spent going out. Boat hire doesn’t have to be expensive. For those that want to go all out they could look at luxury boat hire on a beautiful luxurious boat. Boat hire on luxury motor yachts and super yachts may cost a little more but divided amongst friends the cost is not really different to what would be spent on a night out. We recently organised a luxury boat hire event on a Super yacht that worked out to be about $250pp for the boat hire, food, and unlimited drinks. When I asked what they would normally spend on a night out they told me that they would easily spend more than that every time they go out. Boat hire on a super yacht looked like a much more attractive options than sitting in a bar buying drinks in a line amongst a thousand people. Boat hire not only made the night something different, it the night memorable. I also hear about executives looking for a private place to have a lunch meeting where they wont be interrupted. They often go to well known restaurants and spend a few thousand dollars on a meal with drinks for just a few people. Boat hire would be a much better option. Boat hire gives them the privacy they need. Boat hire on some of our boats have menus available that are as good or better than many of the restaurants executives go for lunch meetings in. Boat hire on some of our boats also offer full AV systems suitable for presentations, and conference calls if they are required. Some of our boat hire options also have internet and foxtel so that meetings can take place with all of the required technology. Boat hire meetings really are a great option. It allows attendees to have a meeting in a luxury environment, with the greatest back drop in the world. All while have a meal and fine wine with all the latest technology. Next time you are looking for a venue for a meeting, consider boat hire Sydney.